Royal Philips recently announced 510(k) clearance from the U.S. Food and Drug Administration to market its ElastQ Imaging capability, further expanding the functionalities of its EPIQ family of ultrasound systems. ElastQ Imaging enables simultaneous imaging of tissue and assessment of its stiffness, which is essential for the diagnosis of various liver conditions. 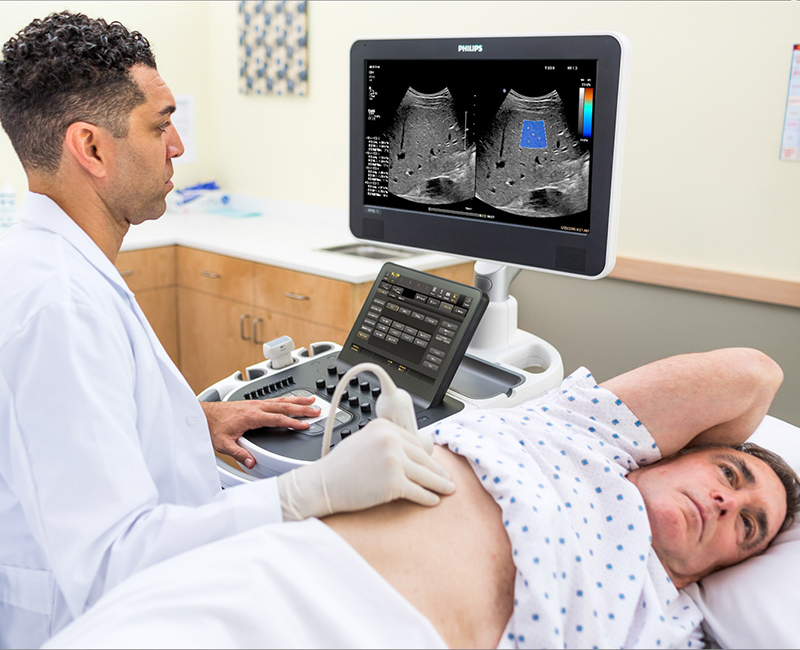 With ElastQ Imaging, clinicians have a comprehensive solution to assess and diagnose liver conditions without the pain or expense of a liver biopsy. Using shear wave elastography to focus sound waves to assess soft tissue stiffness, ElastQ Imaging is non-invasive, reproducible and easily executed. Liver disease, which includes hepatitis B and C, liver cancer and cirrhosis, is a growing global health issue due in part to rising obesity rates and an aging population. To determine the stage of liver disease and damage, a liver biopsy is typically performed by extracting a small piece of liver tissue for microscopic examination. Research suggests that instead of costly and painful biopsy procedures, ultrasound exams using shear wave elastography could become routine for assessing liver disease status and may reduce or avoid the need for conventional liver biopsies. “Philips aims to provide the tools necessary for assessing and managing chronic conditions that so many people face, and liver disease is no exception,” said Vitor Rocha, Ultrasound Business Leader at Philips. Philips ElastQ Imaging Shear Wave Elastography offers a larger field of view or Region of Interest (ROI), color-coded quantitative assessment of tissue stiffness, real-time feedback and intelligent analysis, and quantitative measurements with multiple sample points.